It’s like a fairytale of two sisters: One is beautiful and well-admired, while the other one is just as beautiful, but stands in the shadow of her sister. 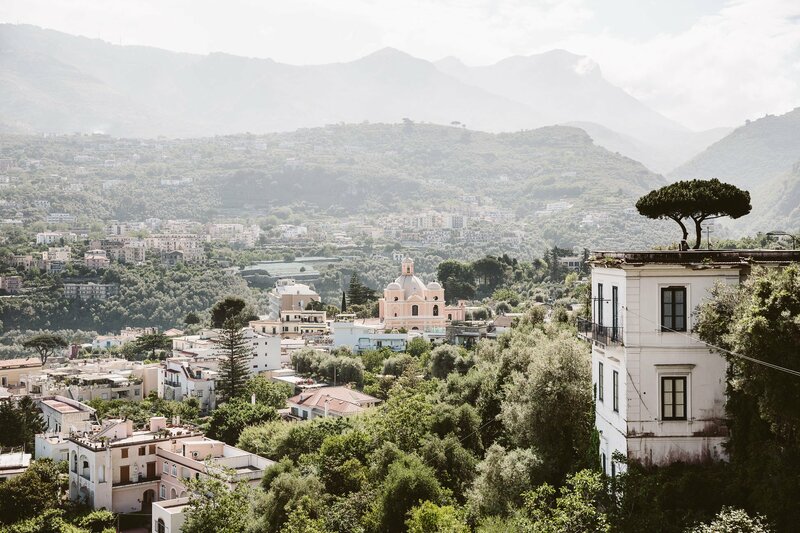 This could be the tale of the Amalfi and the Sorrento Coast. 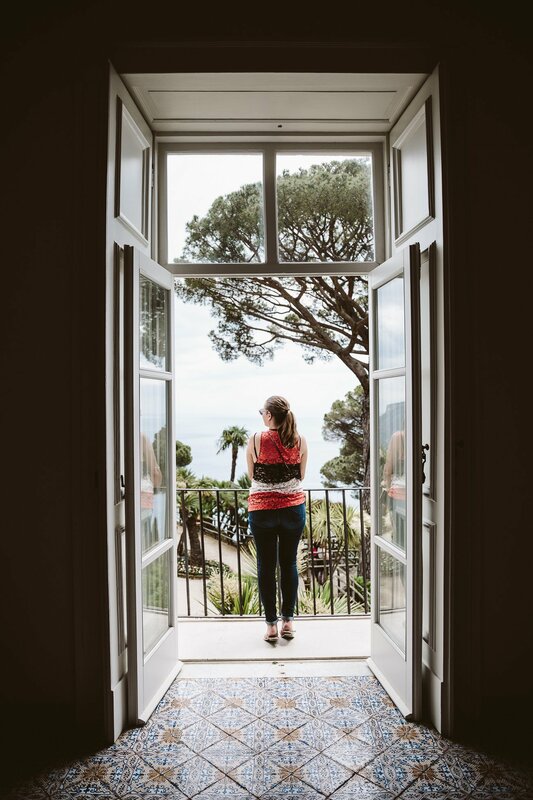 The famous lookout spot from Villa Rufolo in Ravello – an Amalfi Coast classic! 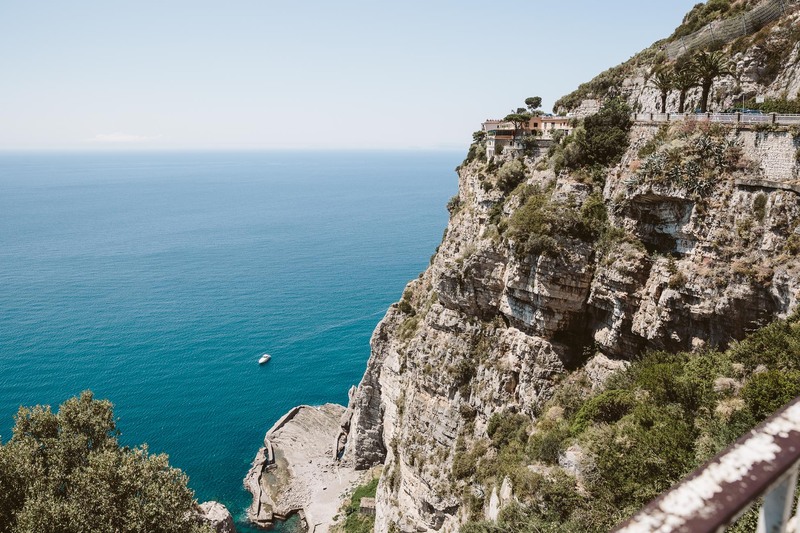 Amalfi vs. Sorrento Coast – who wins? 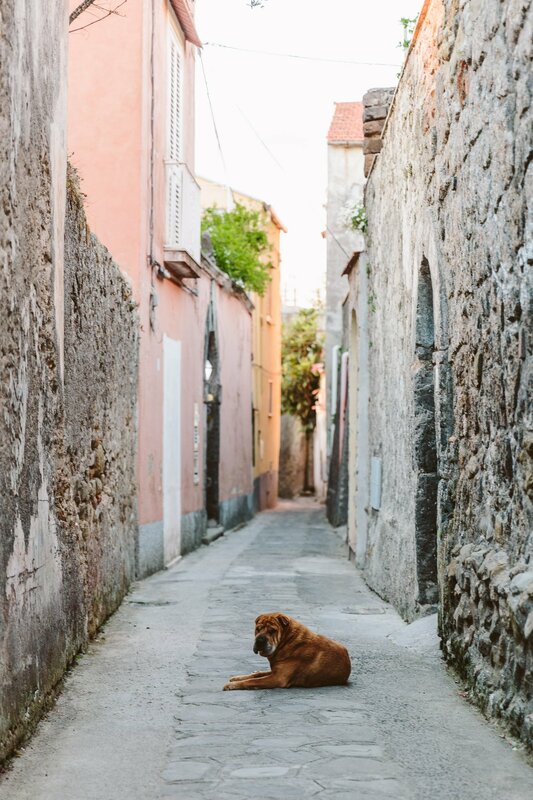 The Amalfi coast has many admirers. It’s scenic coastline & pastel coloured villages are popular all over the planet – to an extent that makes a visit feel like a tour of Disney World sometimes. And the Sorrento coast? It’s overshadowed by it’s Eastern counterpart, although it is equally beautiful. 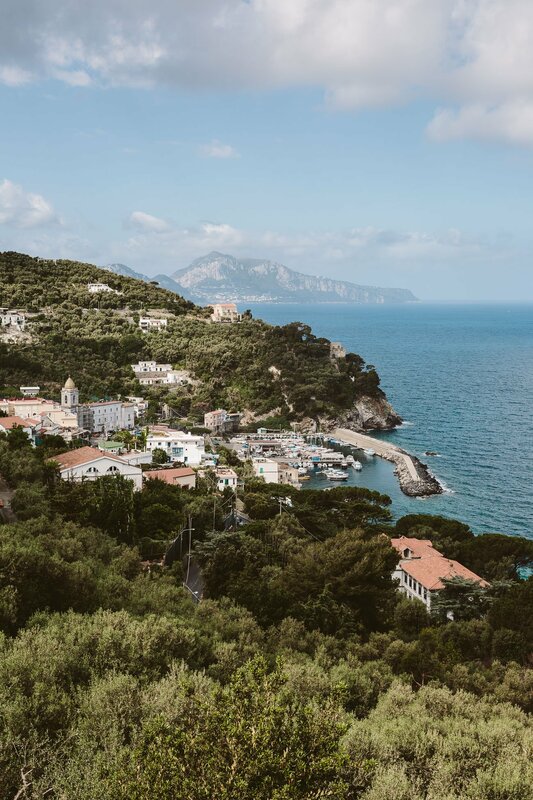 The Sorrento Coast is overshadowed by the Amalfi Coast. During our spontaneous trip with bbacksoon (where we got surprised by the destination) we stayed at the Sorrento Coast, in a village called “Massa Lubrense”. This way we experienced a region, that is way less touristic then the Amalfi Coast. And yet we got the chance to compare both regions with each other – as they are only a 1 hour drive with the car apart! 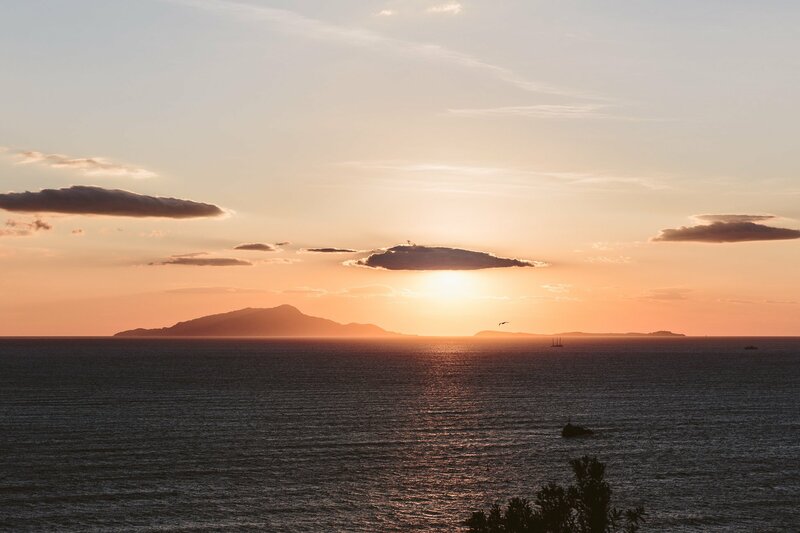 It’s facing to the west – perfect for sunsets like this one! The Sorrento coast stretches from Napoli to the island of Capri. The coastline faces to the Northwest and has similar features like the Amalfi Coast. It’s undulating landscape is adorned by steep cliffs that fall down into the turqouise-blue Mediterranean ocean. 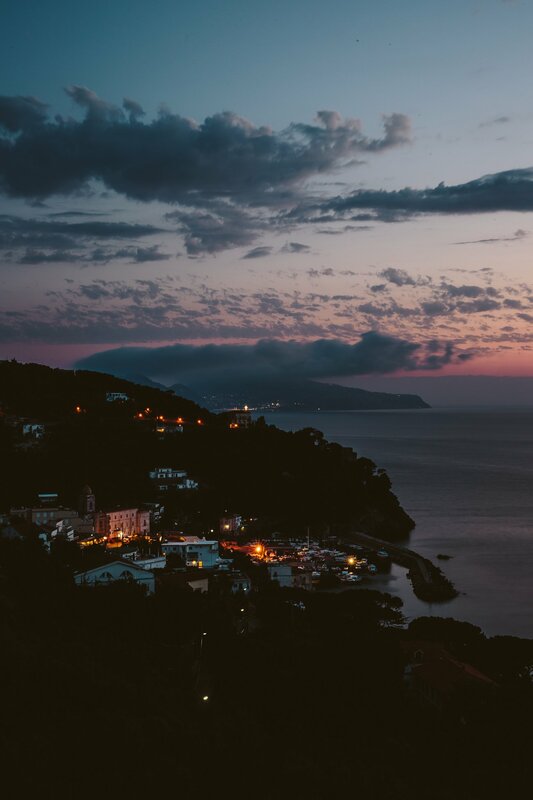 Nestled in the bays you’ll find small villages and towns, that are built into the cliffs and overlook the most gorgeous sunsets at night. 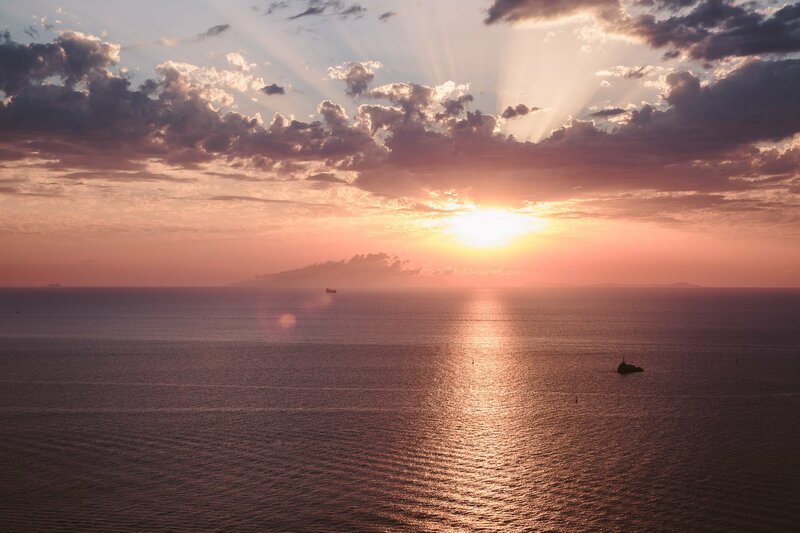 Massa Lubrense as seen by day and night – and the sunset views from the Sorrento coast. 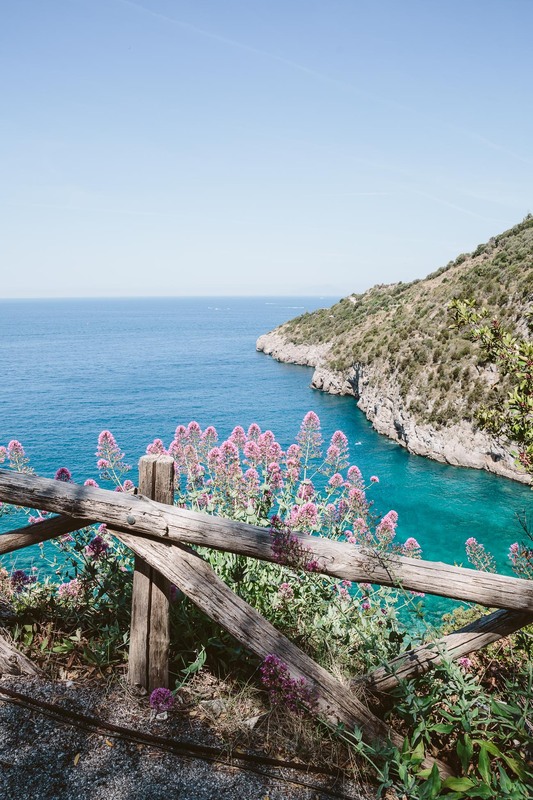 If we would have to choose, we would stay at the Sorrento Coast again. Why? 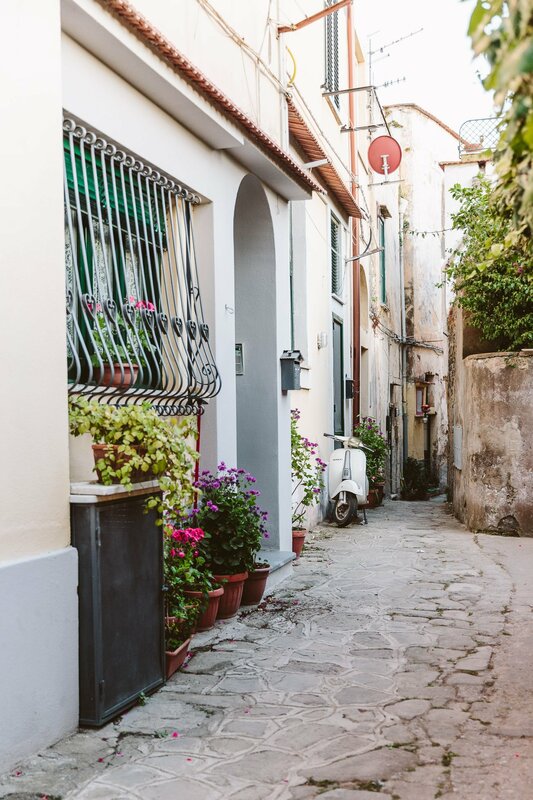 You get to have an original taste of Italy, more local flavour, less tourists and therefore more calm and quiet. 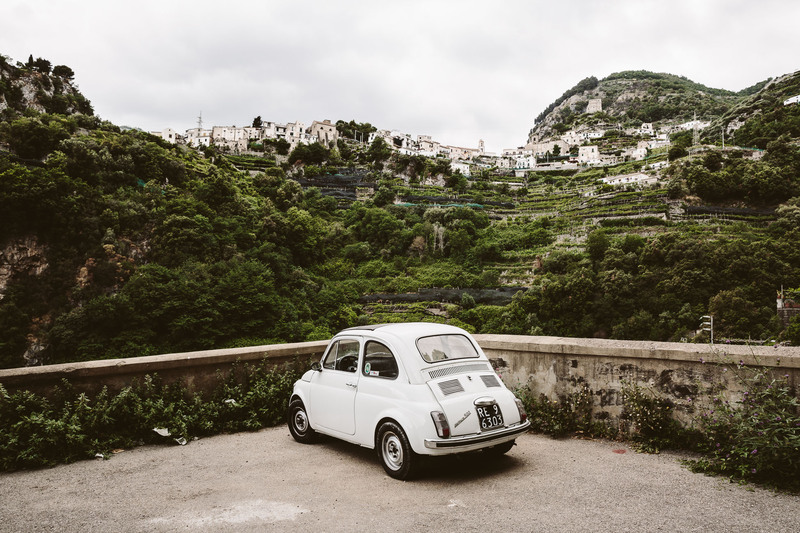 And you can still take your car to go the Amalfi Coast for a day trip, whenever you feel like it! We enjoyed the calm and quiet of the Sorrento Coast! 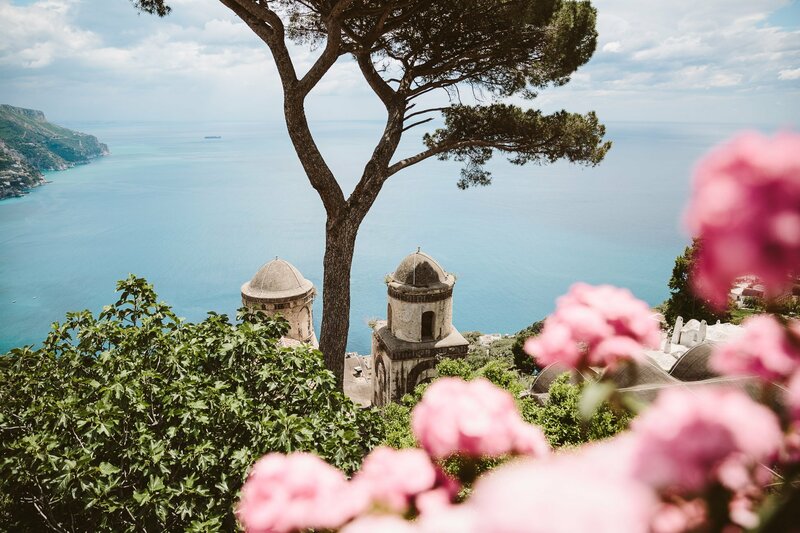 So what if you want to see the famous places like Ravello, Positano and Amalfi? There’s actually no “What if”. 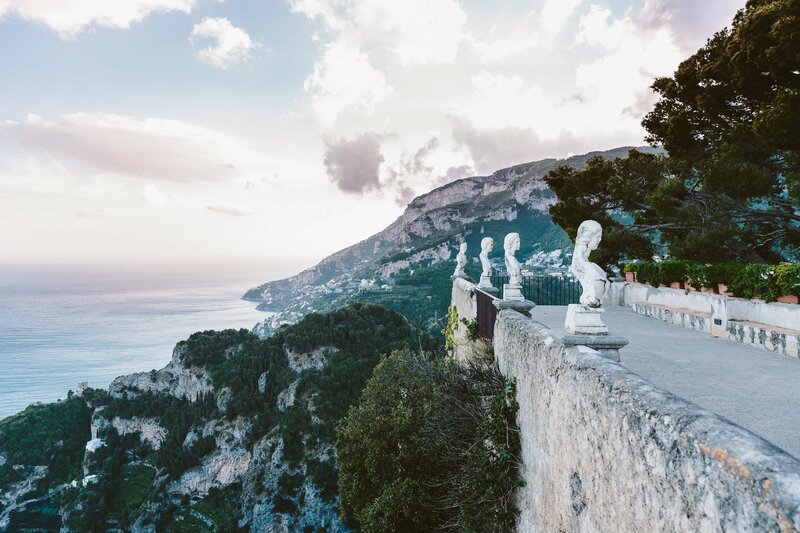 We definitely recommend visiting the Amalfi Coast, but we think day trips might be sufficient to experience those famous places. 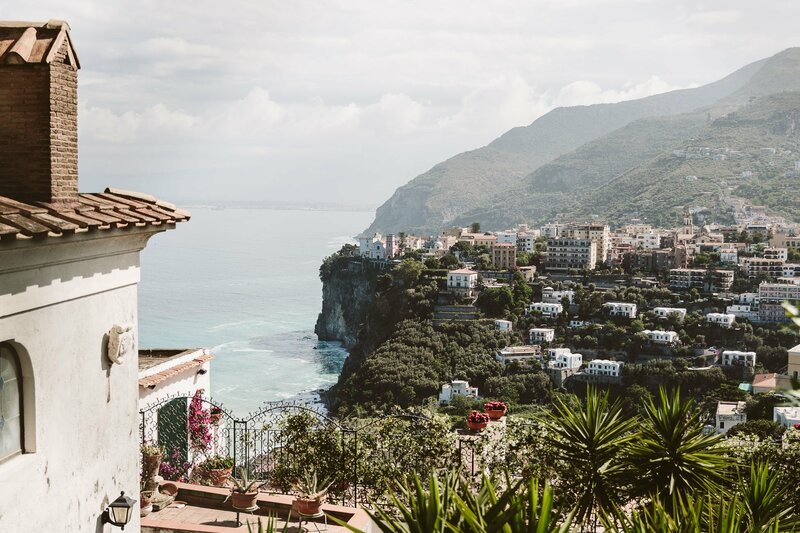 The Amalfi Coast is truly overrun by tourists – even in May, when it’s still only the pre-season, the towns are crowded with visitors. You can easily visit the towns of Positano & Ravello within day trips from the Sorrento Coast. In Positano we were pushed through the streets by hordes of tourists – all clad with selfie sticks and other weapons of travel destruction. We made our way until the harbour and bought the famous lemon sorbet at the overpriced ice cream vendor. All that was left is a bitter taste. 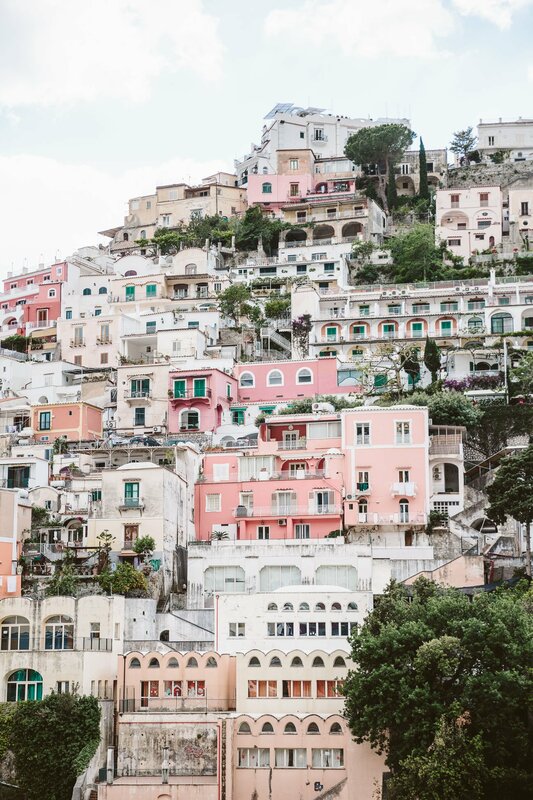 This was the famous, picturesque town of Positano? Let’s better get out of here! of Massa Lubrense at the Sorrento Coast. 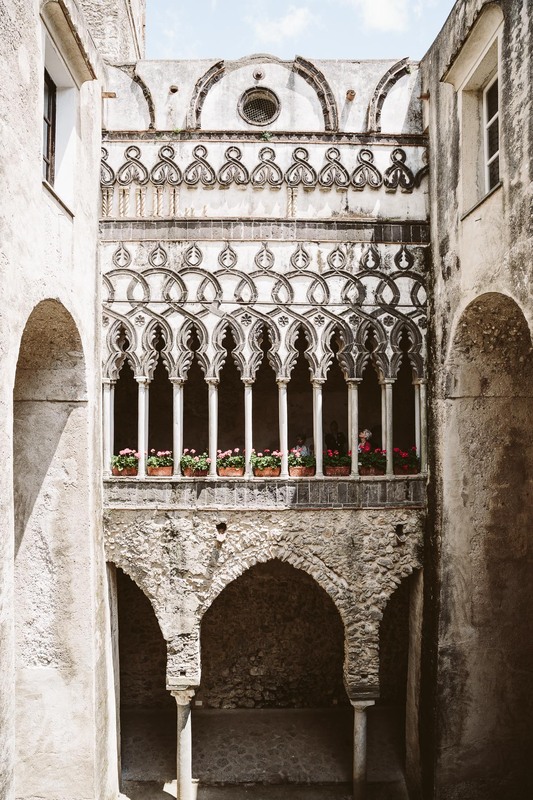 Of course you want to see the famous spots at the Amalfi Coast with your own eyes – and we totally get that. 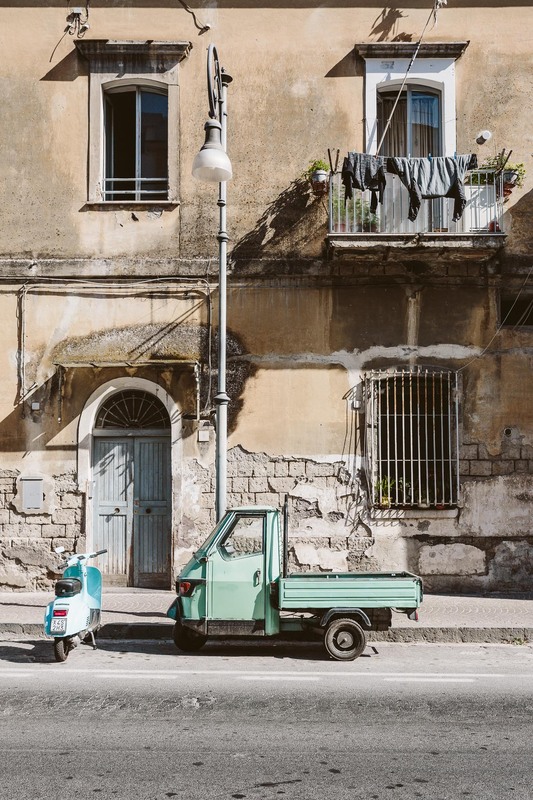 The Sorrento Coast is an ideal place to stay, but doesn’t offer as many “attractions” or “sights” as the Amalfi coast. But that’s also what makes the beauty of the Sorrento Coast. It feels real and you don’t run into the risk of being hit with a camera tripod in towns like Massa Lubrense. Here you can take an evening walk through the streets all by yourself! 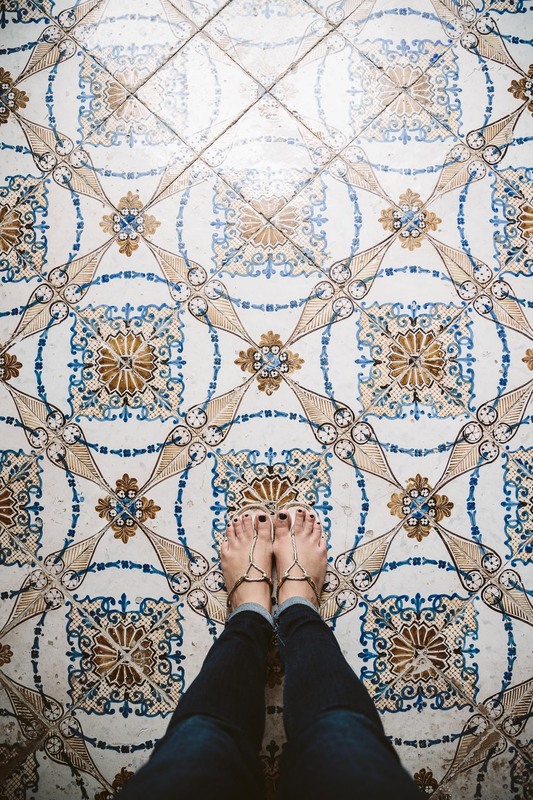 Of course this place is no secret – whoever travels to the Amalfi Coast probably also visits the Villa Rufolo. 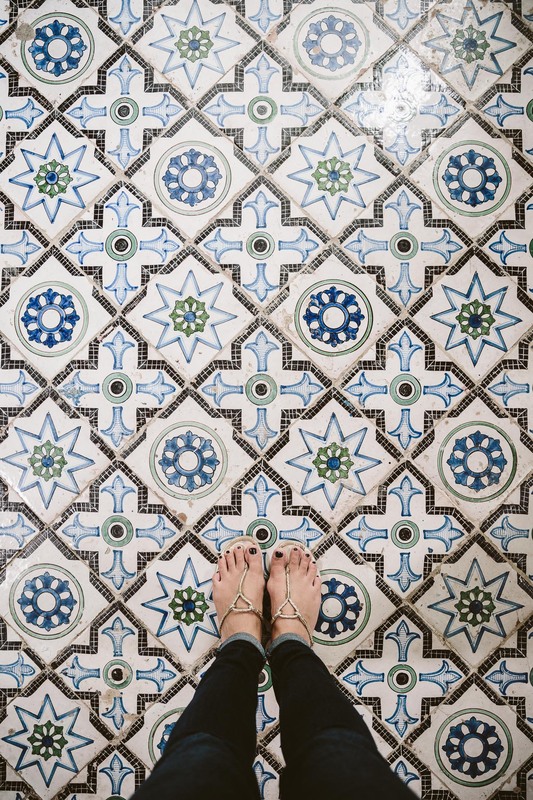 Our personal highlight: The multi-colored tiled floors of the Villa and the view of the bay. Entrance fee: 7 Euros. 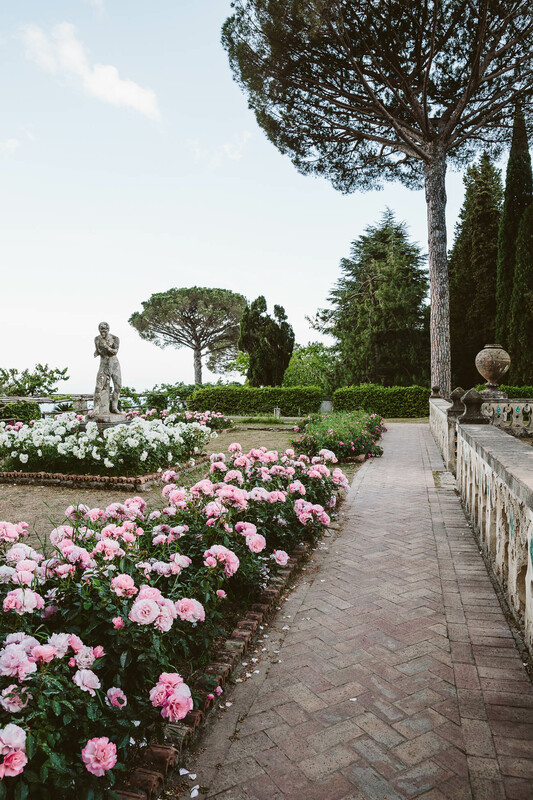 Check out the concert calendar of the Ravello Festival, as there are several concerts at the terrace during the summer months! This villa from the 11th century is a hotel nowadays, but the gardens are accessible for the public. 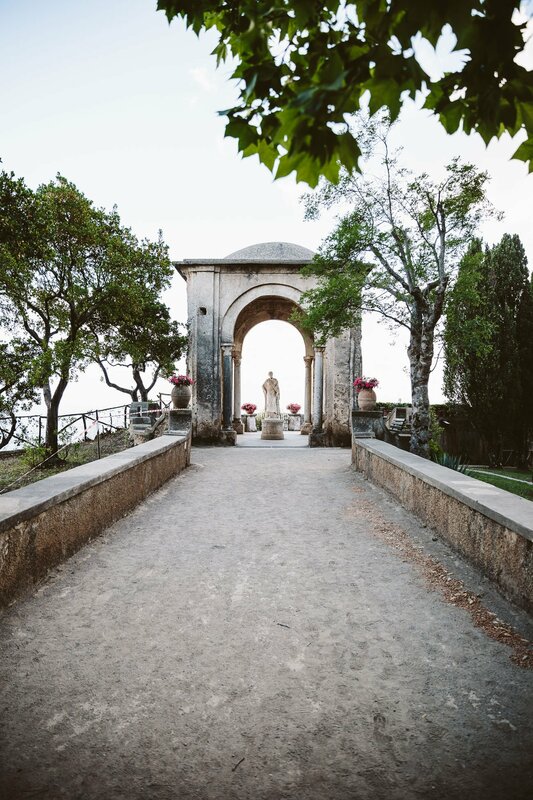 The most famous element of the gardens is the “Terrace of infinity” with an incredible view of the Amalfi Coast. Entrance fee: 7 Euros. 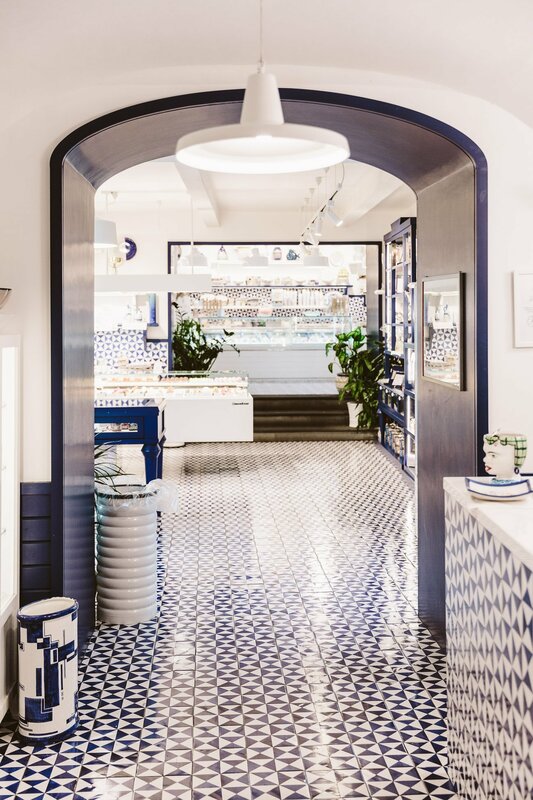 This pastry paradise feels more like an art gallery with it’s tiled floors and beautifully decorated cakes. 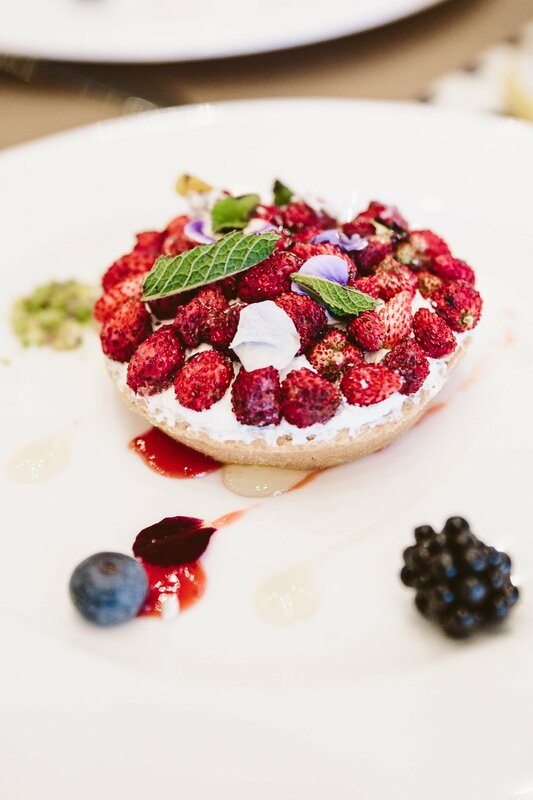 We tried the famous Lemon Pastry, but liked the wild strawberry pastry more. 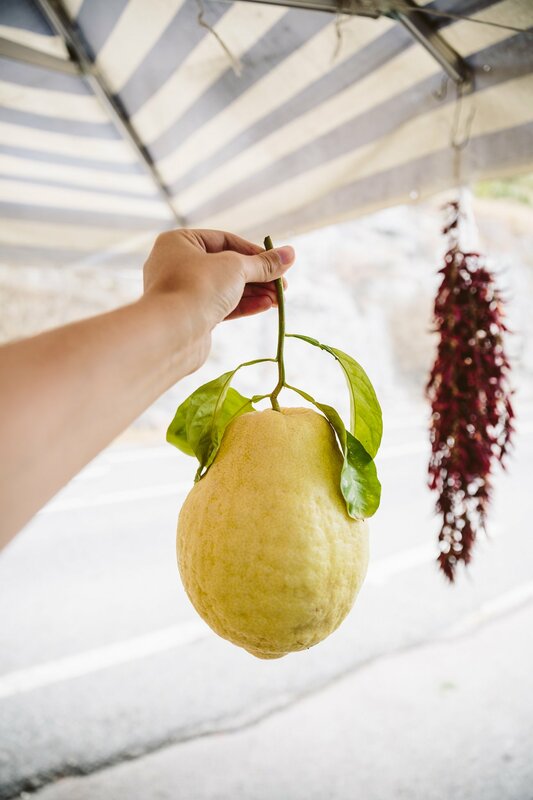 If you appreciate hiking you can take the “Lemon Path” from Maiori to Minori. You’ll pass by lemon groves and get lost in the scent of their flowers and fruits. 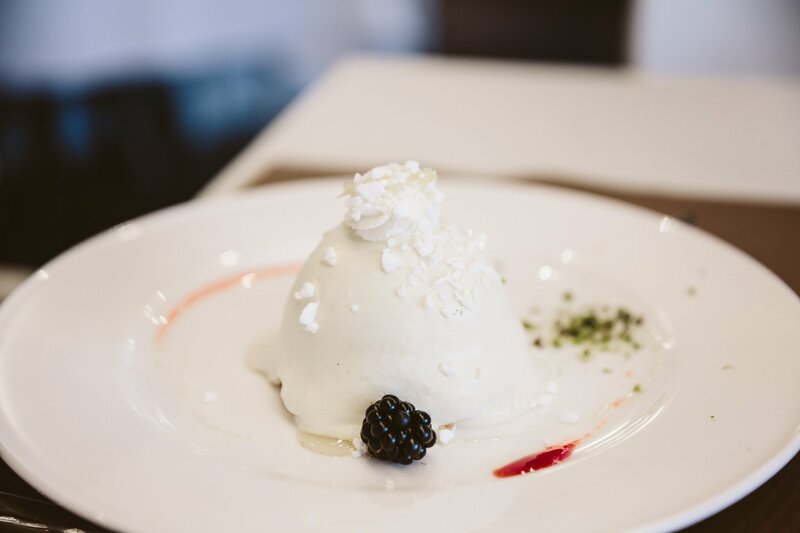 At the end of the hike you can easily enjoy a full plate of Pasta with lemon sauce and finish with a dessert at the Pasticceria Sal de Riso. 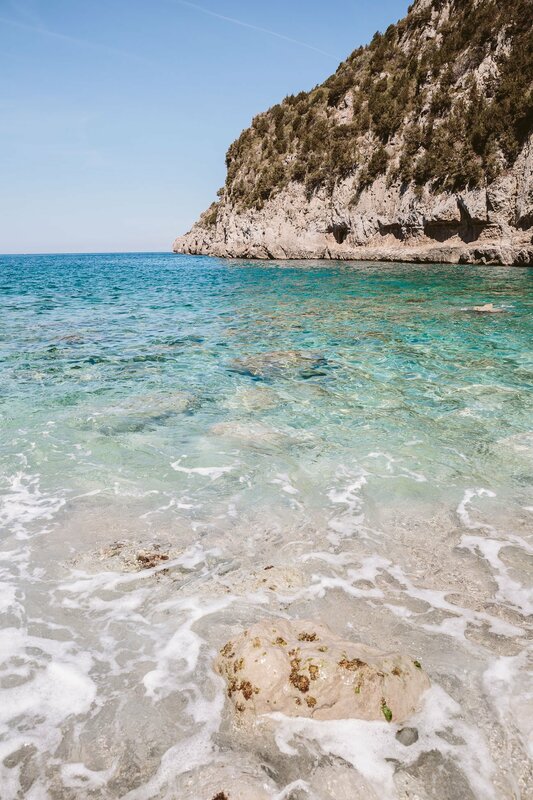 If you’re searching for a quiet bay with crystal clear water, we can recommend Cala di Mitigliano. Although you have to be prepared: To get there you have to walk at least 8-10 serpentines downhill, which means you have to also hike up again 😉 This can be quite an exercise, but we think it’s worth it! Be prepared though: this is not a sandy beach, but a stone beach. Bring bathing shoes and an air mattress for some comfort! And don’t believe Google Maps – you cannot drive down there by car (at least pre-season the gates are closed). 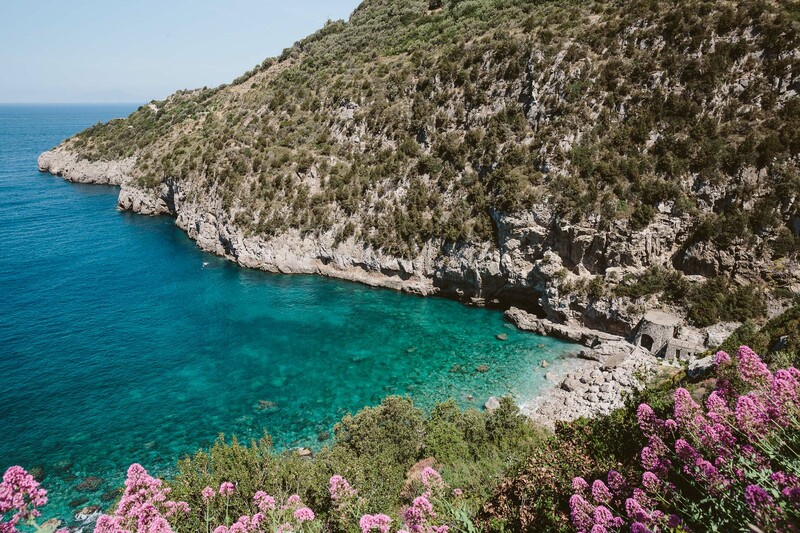 Cala Mitigliano with it’s crystal clear water – you can have it all to yourself on a weekday. 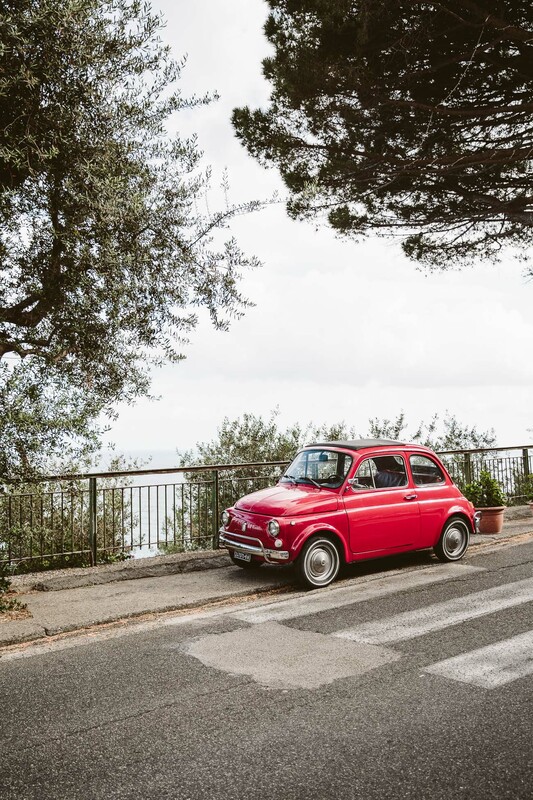 How to get to the Sorrento Coast? 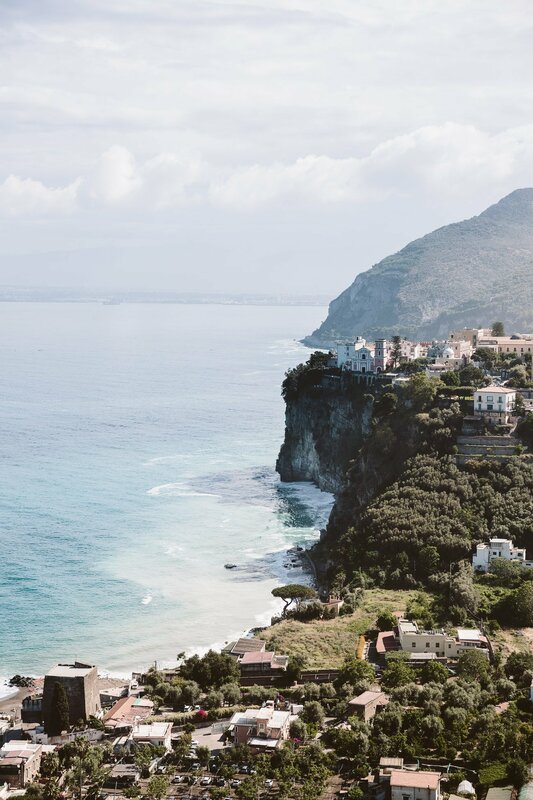 We made our way to the Sorrento Coast via a 1:50 hour direct flight from Vienna to Naples. At the airport our patience was tested while waiting for a rental car. It was a Friday around noon and it seemed everyone had arrived at the same time. Our rental car company “Sicily by Car” was one of the smaller firms at the airport. This way we had a rather short line and “only” waited for approx. 30 minutes. We suggest not to rent from the big name rental companies here – the lines at their desks were insane… (or not fly on a Friday at noon)! Theoretically the drive from the Naples Airport to Massa Lubrense takes just a little more than 1 hour. But we stopped at too many occasions for some incredible look-out spots and Lemon Granita along the way. 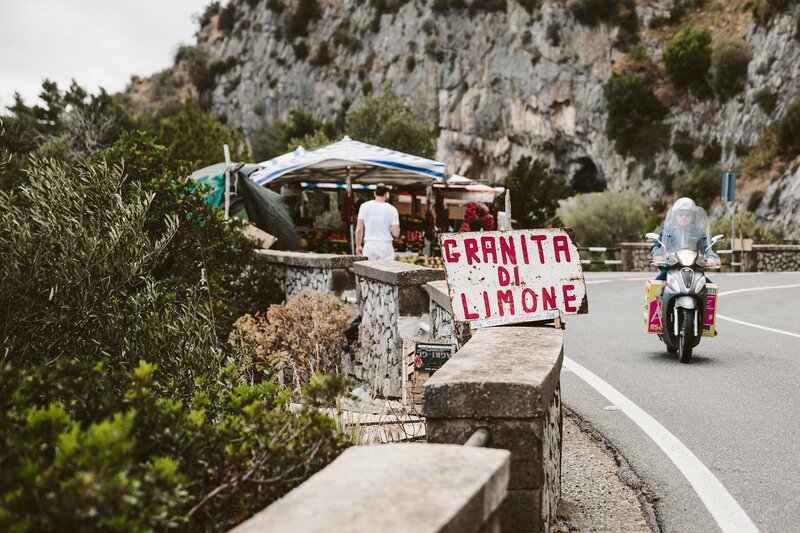 There’s always a good reason for a stopover at the coastal road: Views or Lemon Granita! 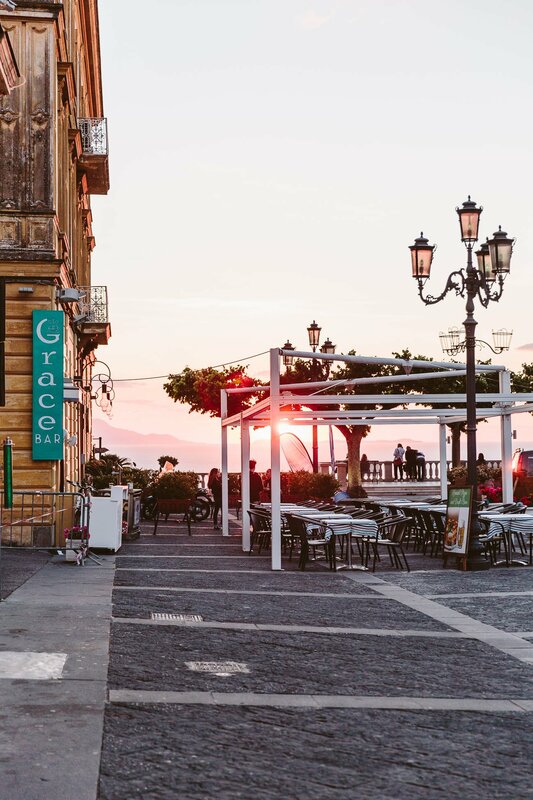 Our verdict: The Sorrento Coast is the perfect place for a less overcrowded experience of the Italian South. 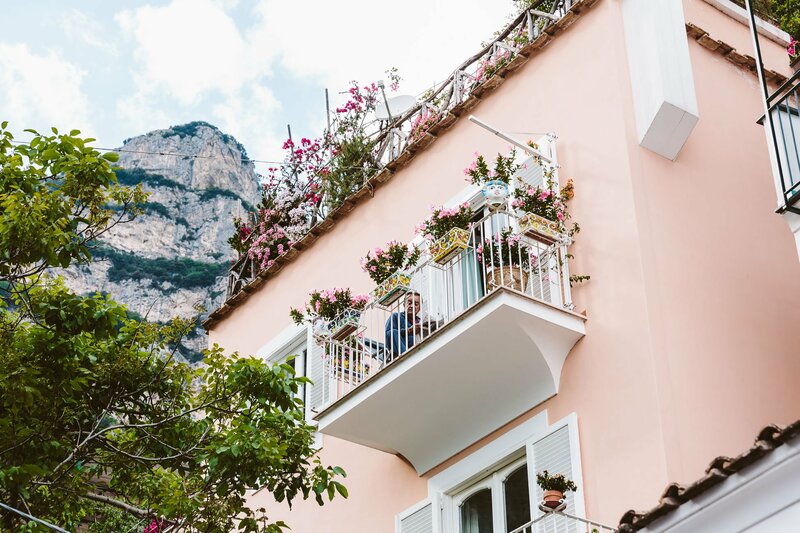 You’ll experience small villages all by yourself and can watch the sunset from the balcony of your hotel (that probably also costs you less then the hotels at the Amalfi Coast). 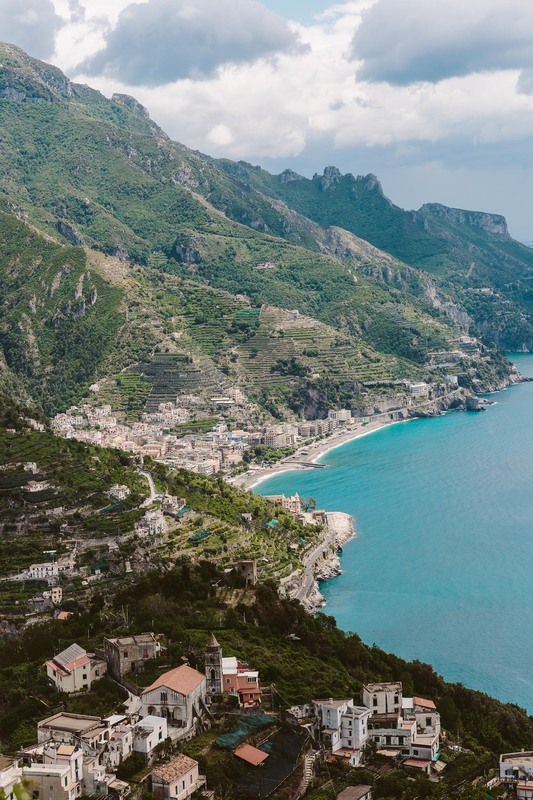 If you want to check off the landmarks and postcard motifs from the Amalfi Coast, do that within day trips instead of staying there the whole vacation! 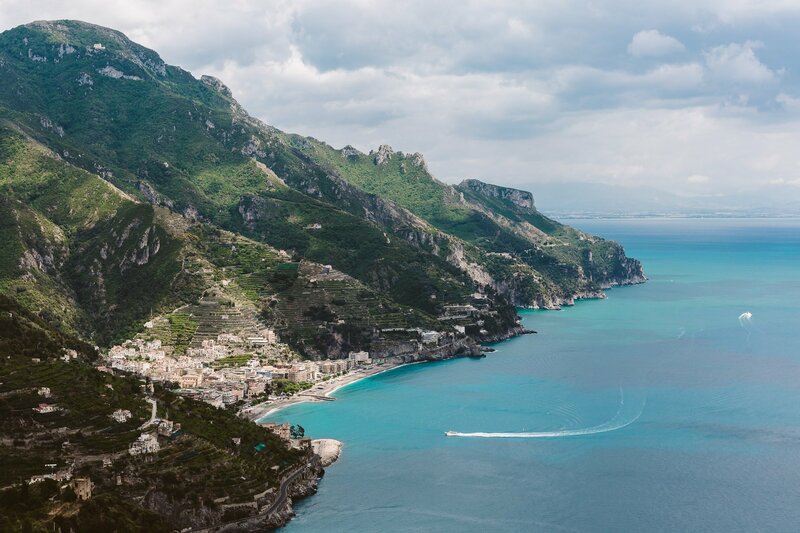 The Sorrento Coast is our coastal battle winner! 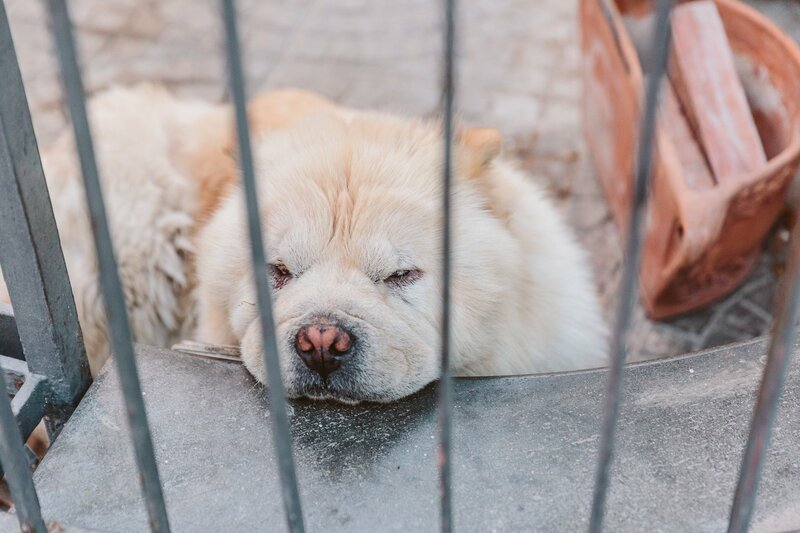 Read all about how we didn’t know where we were traveling until the evening before our flight with our spontaneous trip with bbacksoon. Disclaimer: This is not a sponsored post. We have been invited and paid for this trip by bbacksoon, but the views in our blogpost stay independent from that invitation. Next Influencer Marketing: Wer langfristig denkt, gewinnt!